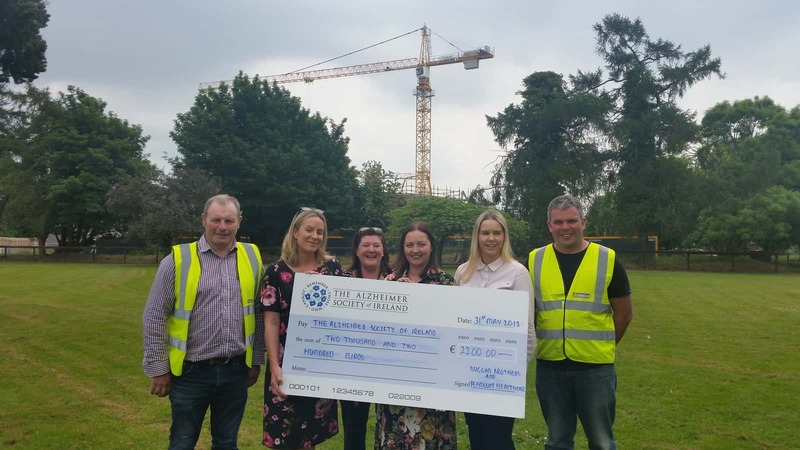 Duggan Brothers raise much needed funds for the Alzheimer Society of Ireland – Duggan Brothers Ltd. Thank you to all that recently took part in ‘The Alzheimer Society of Ireland’ Builders Brew, tea day. Staff in our Templemore Office; Dublin Office; and Peamount Healthcare Site participated and supported the ‘ASI’ by baking and donating. In total €2,200 was raised for the worthy cause. The event which was held in conjunction with Peamount Healthcare at the new 100 Bed Nursing Facility and Catering Department site was fantastic. The site was opened up to staff and residents of Peamount Healthcare, who were taken on a site walk around the perimeter of the project. 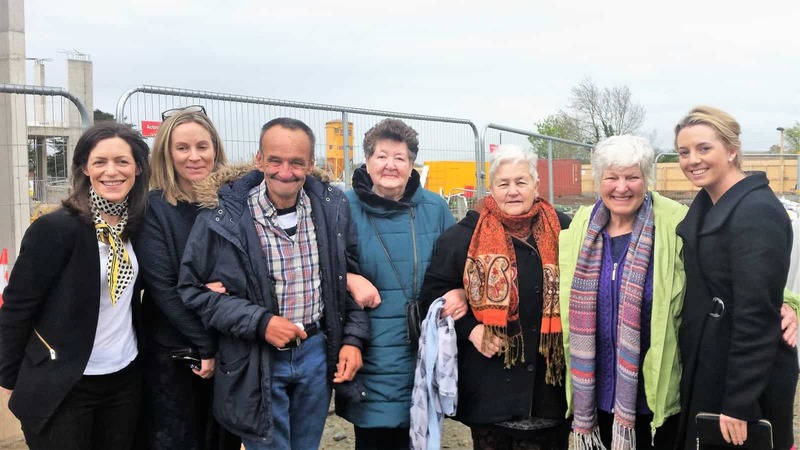 It proved a wonderful way to show the progress on site and the scale of the project whilst also providing an opportunity to get everyone together for a cuppa. Alzheimer’s Tea Day is the largest annual fundraising campaign for The Alzheimer Society of Ireland. The number of people with dementia in Ireland is expected to more than double over the next 18 years. There is currently no cure for this progressive disease. 1 in 2 of us know somebody that suffers from dementia. This was the ideal way for us to show our support to those living with dementia, and to those that’s have loved ones affected by the disease.